Cooking is my favorite hobby; here’s where I record my culinary creations. Asian cuisine is one of my favorites, and every time I get the chance I always order some delicious kimchi! 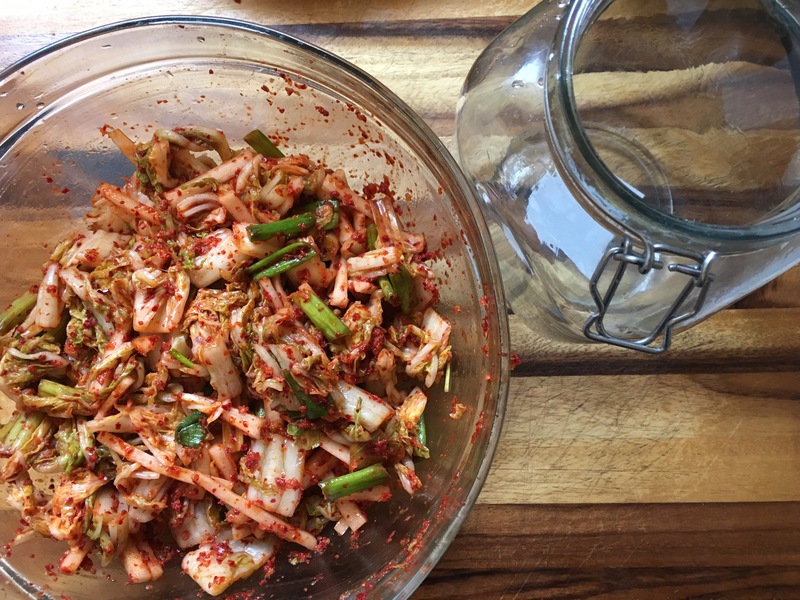 The spicy fermented cabbage flavor, mmm…my mouth is watering just thinking about it. 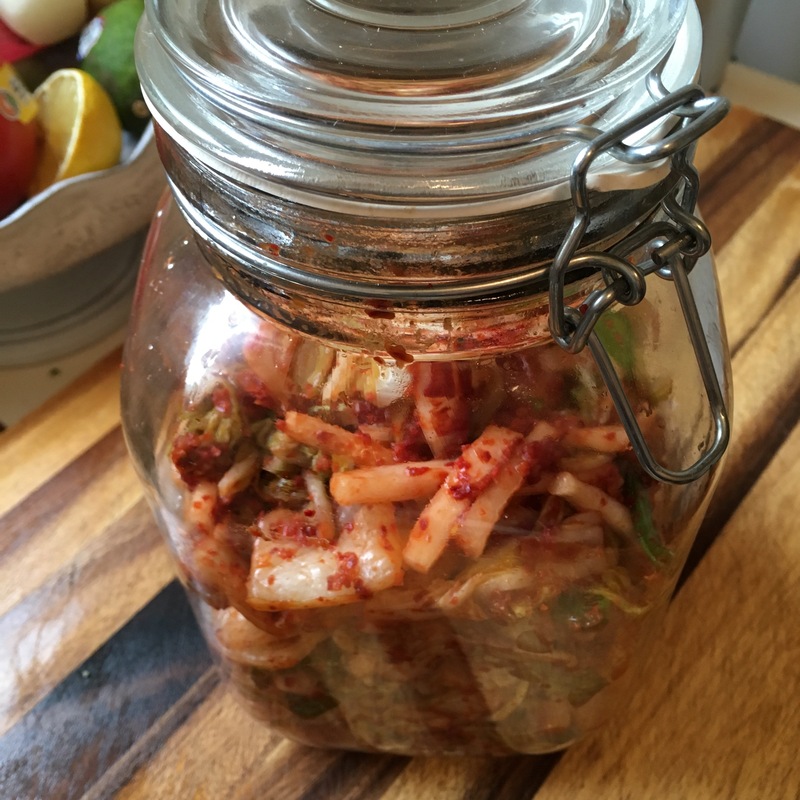 So I decided to get in on the fermentation fun myself and give making it a try! Surprisingly these complex flavors are pretty easy to create. It just takes a few days before you can get to eating it. 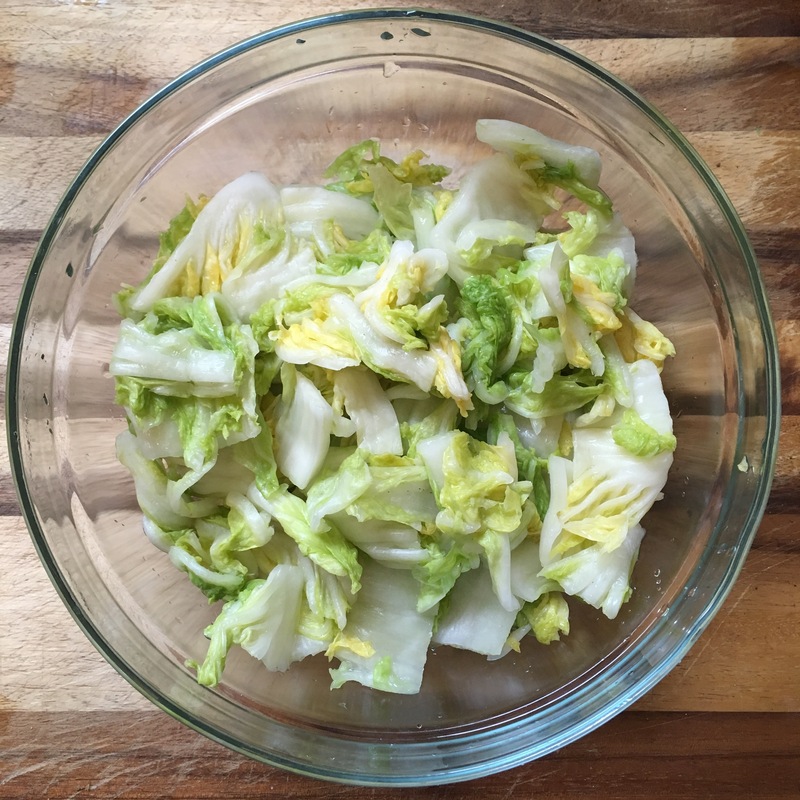 Step one is simply to cut and soak your cabbage in salt water for 12 – 24 hours. Easy enough. 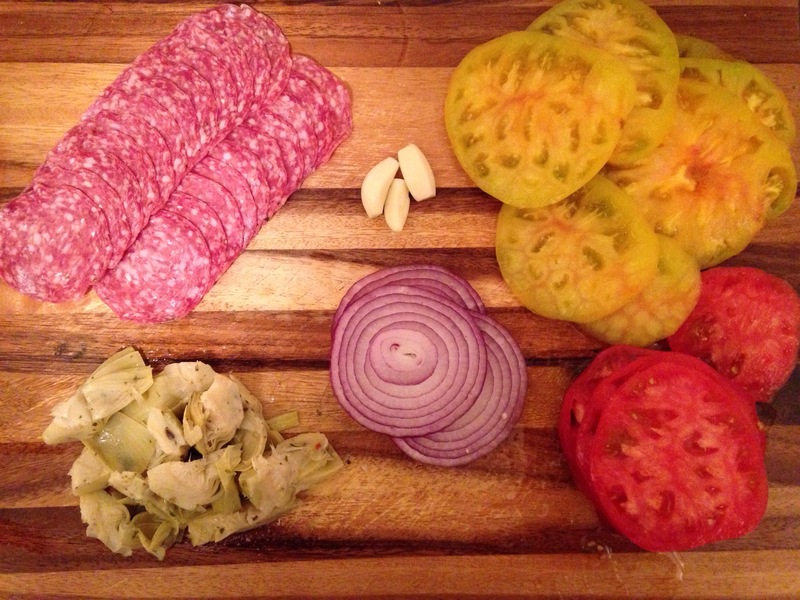 Then you bring all your other ingredients together, add in the strained cabbage, and hand mix it up. Cut the cabbage in half, and then in quarters. Chop into 1 inch pieces, discarding the ends. In a large bowl, mix cabbage with salt, then fill with water making sure all the cabbage is submerged. Cover with plastic wrap and let sit 12-24 hours. Once cabbage is ready, drain in a colander and rinse throughly with cold water. Gently squeeze out excess water and set aside in a small bowl. 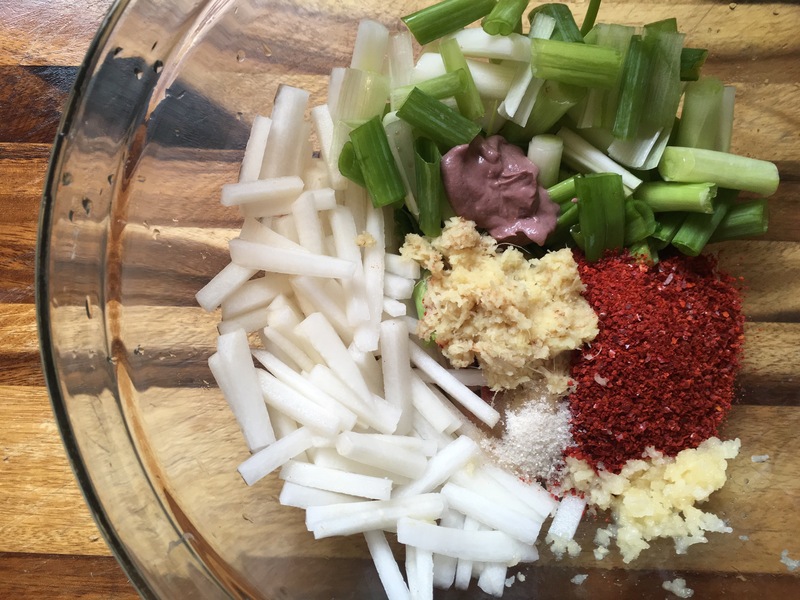 In the large bowl, mix all other ingredients. Add in cabbage and hand mix to make sure everything gets evenly mixed. Put mixture in glass jar with a tight seal. Store in a cool dark place for 24 hours, then refrigerate at least 48 hours before eating. You can find the recipe I used here. But I have to admit, it’s delicious! 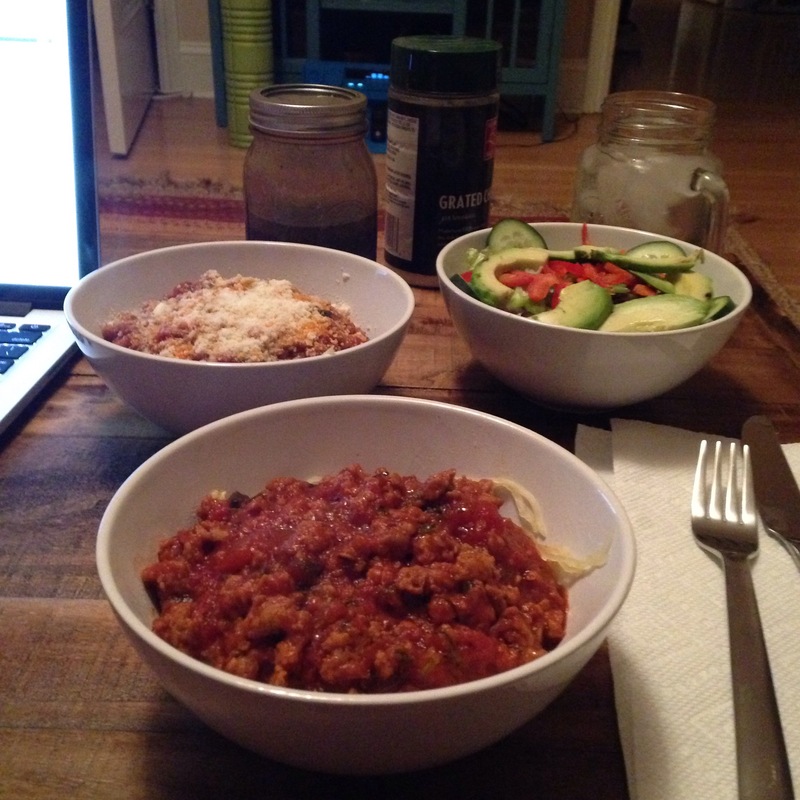 I made a hearty spicy sausage sauce to really test what this veggie could handle and I can honestly say, I might prefer spaghetti squash to regular spaghetti. It’s got a nice nutty flavor, and at the end of a huge bowl, there’s none of the blowsha (bloated, only cuter) that can accompany a pasta meal. All in all, I think we found a winner. Pre-heat oven to 350. 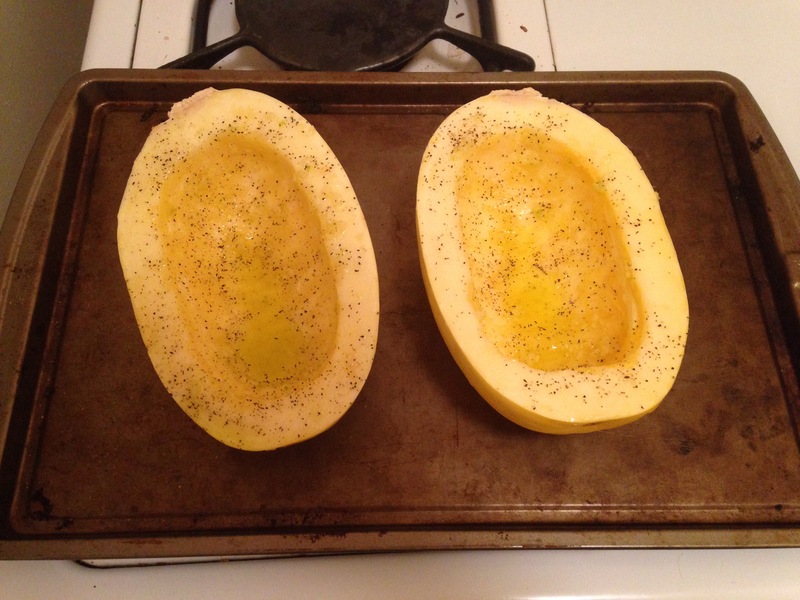 Cut the spaghetti squash in half lengthwise, remove seeds, and rub EVOO and crushed garlic all over the inside. Sprinkle with salt and pepper and bake for 45-50 minutes, or until a fork can be inserted easily. 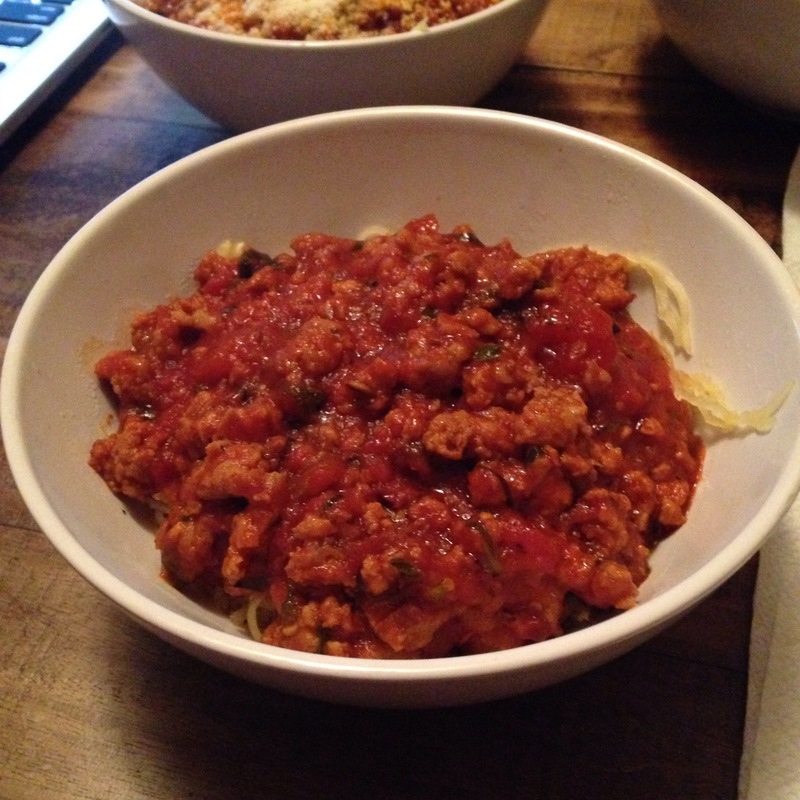 Once it’s done, let cool for a few minutes, and then using a fork, scrape the “spaghetti” strands into a bowl. For the sauce, brown sausage meat, drain, and add to sauce in a medium saucepan. Let simmer while the squash cooks to bring out all the flavor in the meat. Top the squash with sauce, Parmesan, and crushed red pepper. Enjoy! 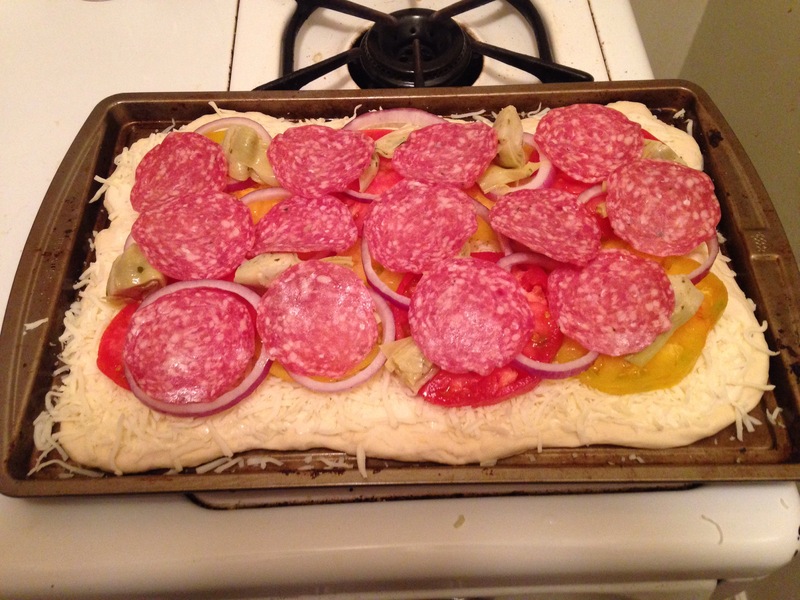 Mmm, who doesn’t love homemade pizza? I think if pizza was a love language…it would be mine. That and tacos. Definitely tacos. Pizza, a world of endless possibilities. I’ve done BBQ, caprese, sausage peppers and onion, and countless others. Now it was time to tackle the elusive white pizza. Usually I like pizza with red sauce, but this creamy goodness is hard to pass up. 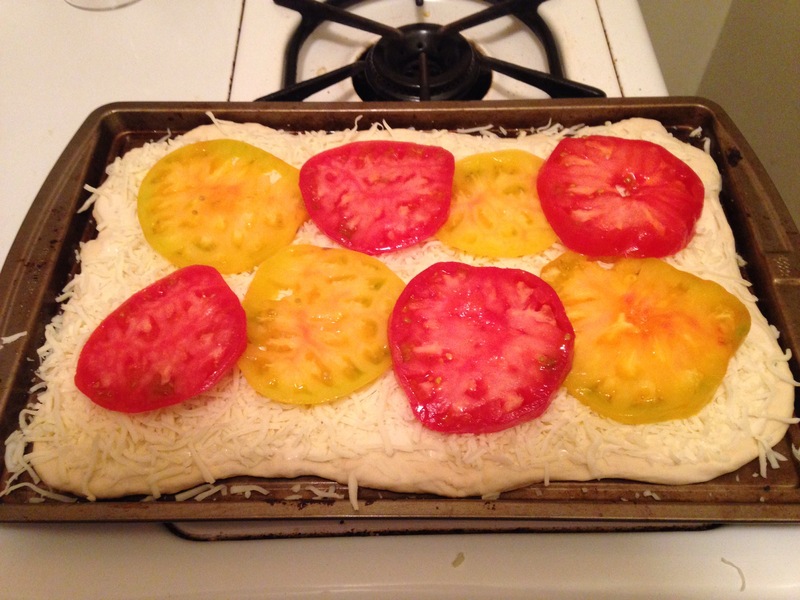 Plus, with juicy red and yellow heirloom tomatoes, you still get tomato-y delicious. It’s almost like cheating. But you can’t really cheat in pizza. I made the crust from scratch, and it was actually way easier than I expected thanks to an easy recipe from Chef in Training. So, time to get cooking! Preheat over to 400. 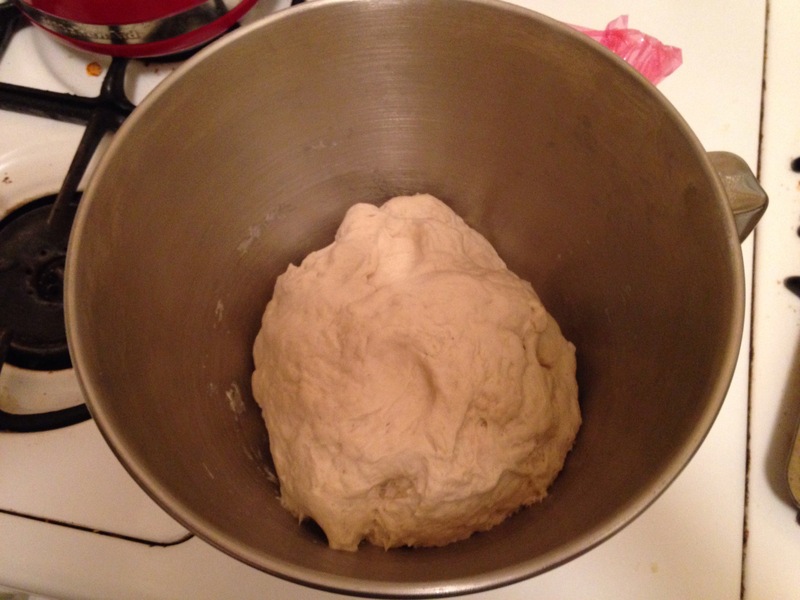 On a greased cooking sheet, stretch out your dough. Top with alfredo sauce, and mozzarella. 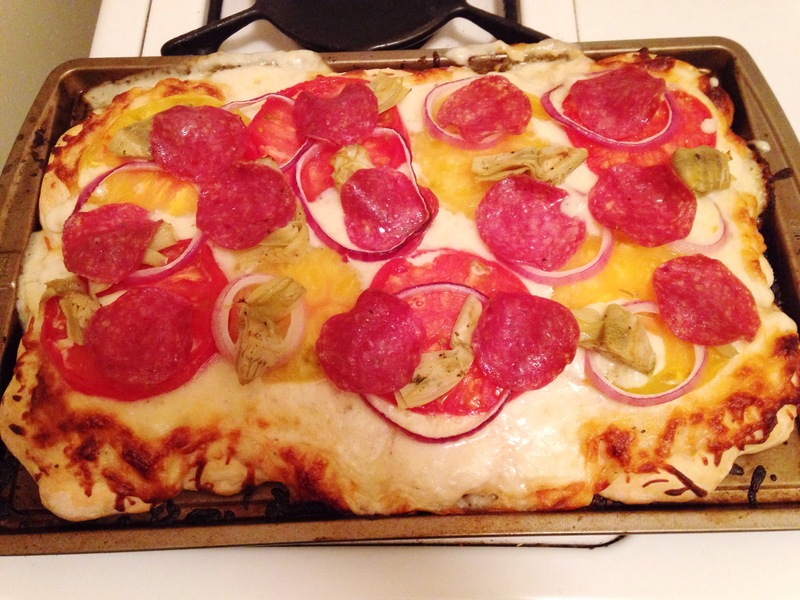 With a garlic press, crush garlic and spread small clumps all over the pizza. Add all veggies, with the meat layer last so it gets a slight crunch. 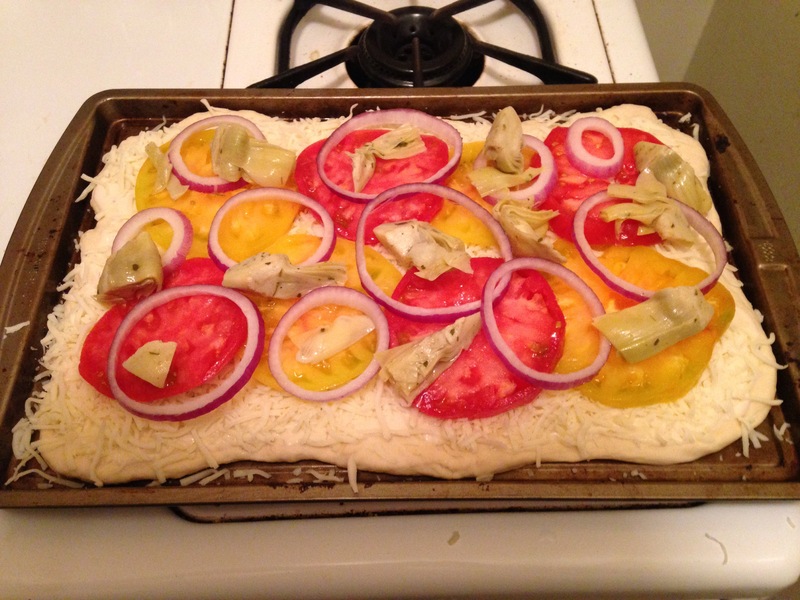 Bake for 20-25 minutes or until edges of crust are golden and cheese is bubbly. Serve with crushed red pepper. 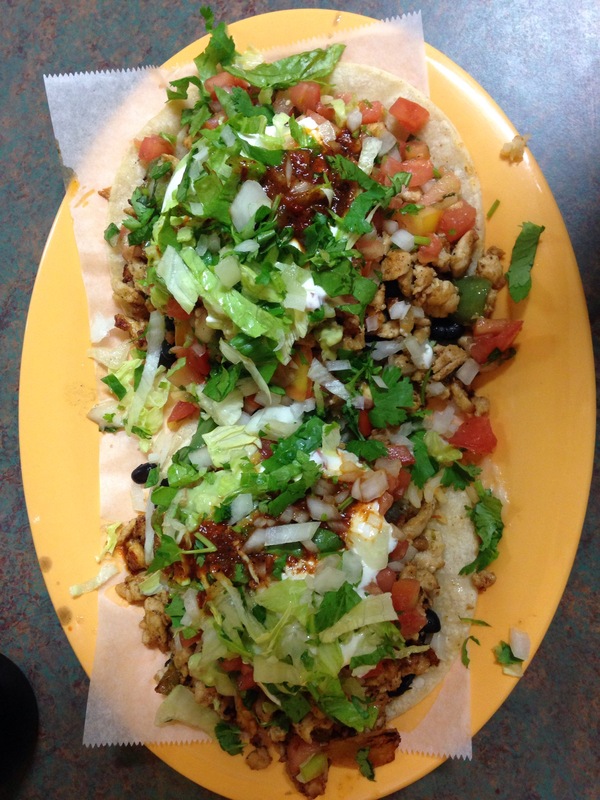 I’m obsessed with Mexican food. 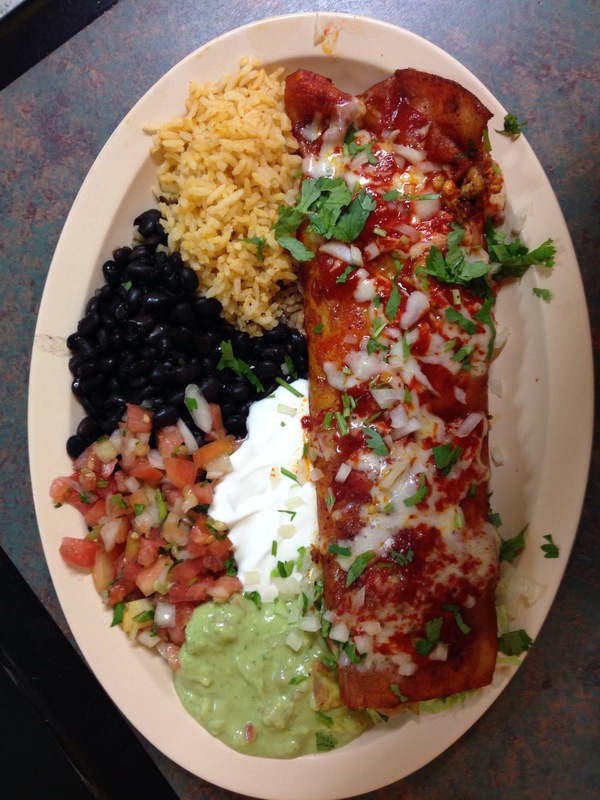 Tacos, burritos, enchiladas…they speak to my heart. If you find yourself in the Mission District of San Francisco, all you have to do it walk a few blocks and you’ll find a place. A place where english is secondary on the menu. A place where old mexican ladies are in the back arguing and stirring large pots that smell amazing. 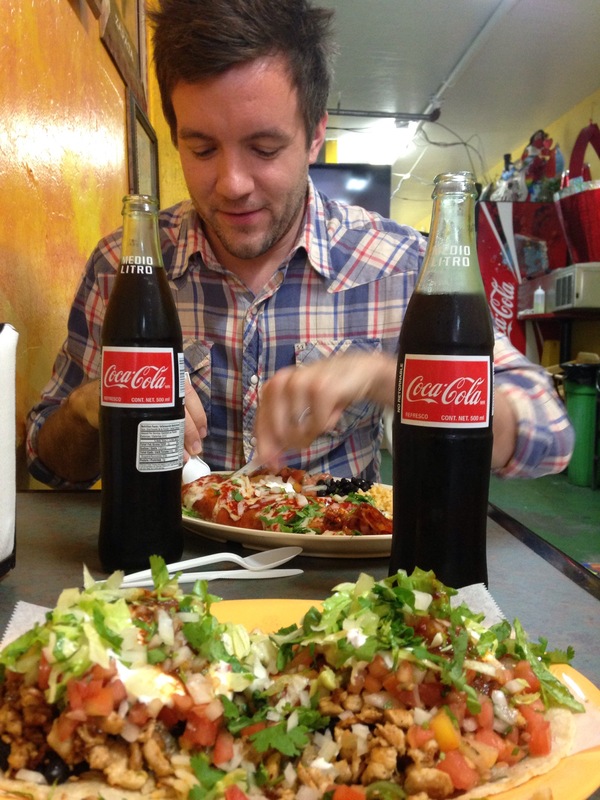 A place where Mecican Coke is a given. 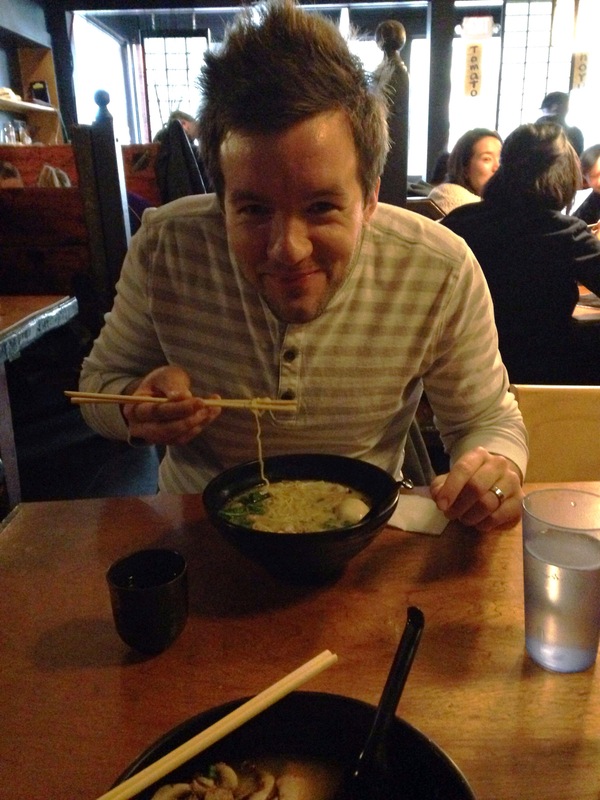 Ramen in San Francisco is no joke. When I hear ramen I used to think the stovetop packets you can get two for a dollar, and usually need during college when you’re, well, broke. But not here! Traditional ramen broth is slow cooked for 18-24 hours, giving it an intense and bold flavor. There’s are typically three types of broth: salt (basic broth), soy sauce, and miso. And then each of these can be gotten spicy. Mixed with the traditional ramen noodles, bbq pork, green onion, mushrooms, and whatever other toppings you go with, it’s in a word: amazing. 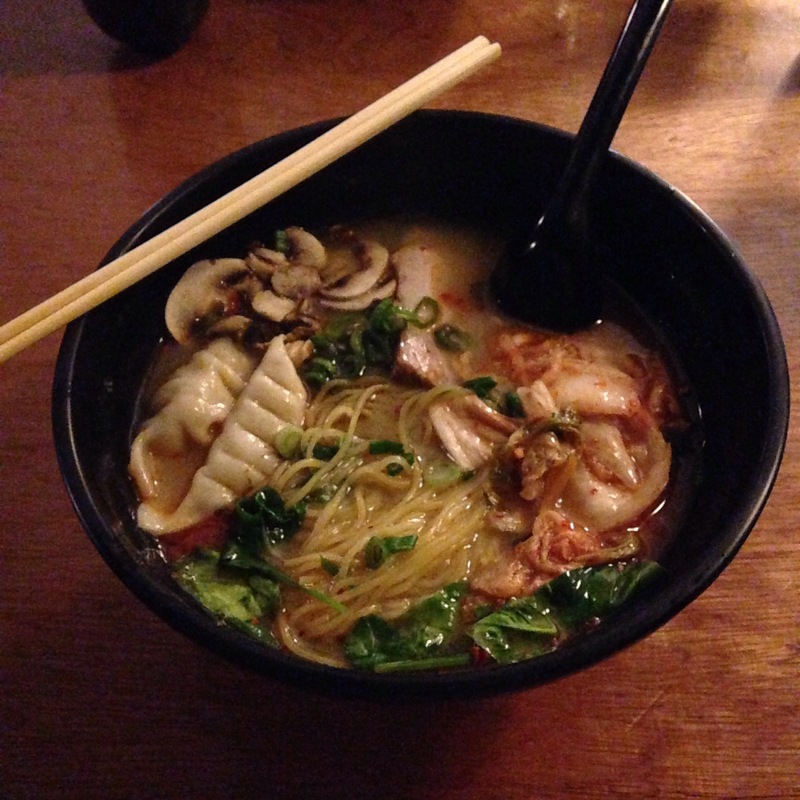 My favorite combination is spicy miso broth with additional chicken dumplings and kimchi. It’s too good…I want to eat it all the time. So if you’re here, do yourself a favor and track down a bowl.